Flooding is the number one home disaster in America, with over $3 billion in insurance claims every year (National Flood Insurance Program). If you experience basement flooding during the rainy season, you are not alone. Rain water can cause sever damage to your home as it seeps into the foundation, carpet, furniture, and unfinished storage spaces. Read below to learn how to prevent rain water from wreaking havoc on your home. 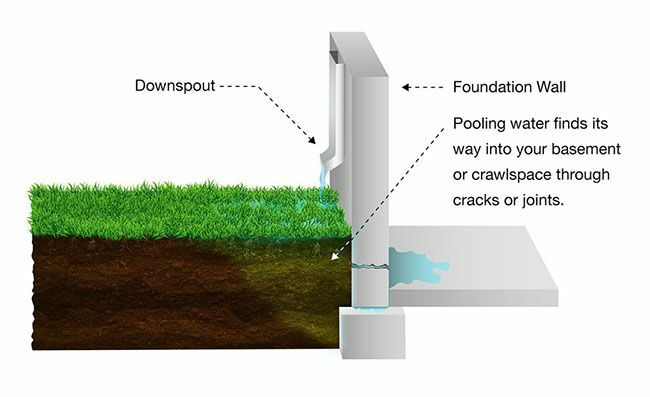 Inspect and repair foundation The most common way for water to enter a poured concrete is through a non-structural wall crack. Structural wall cracks are caused by lateral pressure from the soil. They vary in size, but can be as small as a hairline. This can make them hard to identify while being an open invitation for rain water. To find cracks, identify where the leak source is, dry the concrete wall, and use a flash light to investigate where the crack is located. Typically, one crack in the foundation means there could be several more, so it is a good idea to schedule a profession inspection. Install gutter extensions Gutter extensions are a quick and cost effective way to prevent basement flooding. They are designed to push water away from the foundation and landscaping, preventing damage to your exterior. Without gutter extensions, rain water can exit the downspout and create a puddle of water next to the foundation. Before long, the built-up water will make its way into the basement through small cracks and eroded spots. Gutter extensions are easy to install and can be found at any home improvement store. Install a sump pump It isn't always possible to keep rain water from entering the basement, especially in older homes. A sump pump is the solution to this problem--pumping water out of the basement before it creates any damage. A sump pump is an effective way to keep a basement from flooding. When installed, it is placed in a sump pit--a hole filled with gravel in the lowest part of the basement. As water begins to pour into the pit, the sump pump turns on and starts moving the water out of your home. If you already have a sump pump but you're still experiencing water damage, it is time to have your unit inspected. Clean gutters and downspouts The leaves are about to fall, and many of them will land right in your gutters. 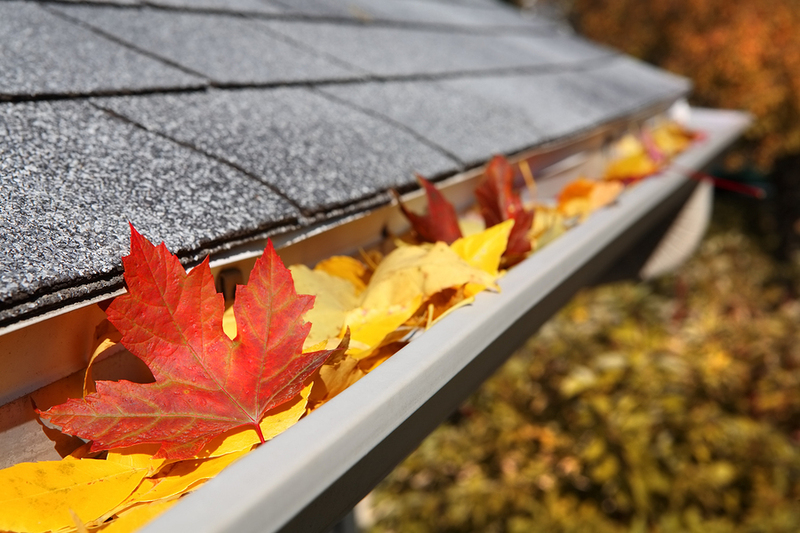 Leaves can cause significant buildup, which can severely clog your gutters. This leads to water pouring out in the wrong places and finding its way into your basement. Stay on top of gutter maintenance and consider installing gutter guards to make your job easier. Downspouts can become clogged quickly from leaves and debris. Clean out regularly to allow the water to flow freely, or install gutter extensions. Schedule a plumbing inspection Sometimes, a leak can't be solved with a simple fix. It can be difficult to identify the cause of a leak on your own. That's where we come in. A plumbing inspection allows a plumber to inspect every pipe and fixture in your house. Our plumbers are trained to spot early signs of trouble, which can save you money down the road. During a plumbing inspection, our plumbing technicians evaluate the health of your water heater, water lines, drains, faucets, valves, toilets, sump pump, pressure regulator, and gas line. Call A.B. May for 24/7 emergencies Home problems seem to happen at the worst time. When problems arise in the middle of the night, we are here to help. Add our phone number to your contacts so you can quickly access a technician at any time of the day.